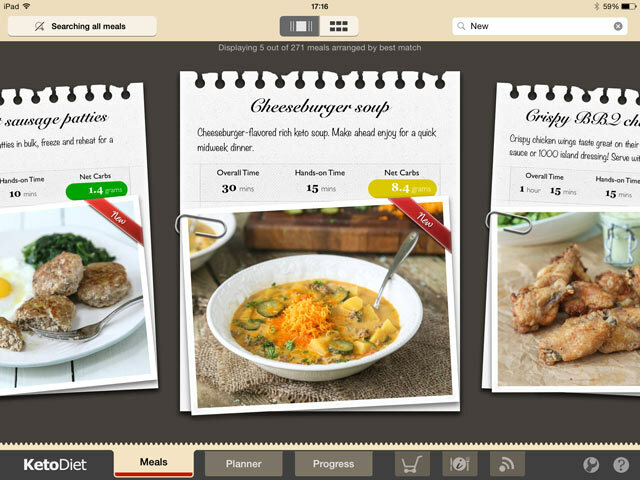 There is a new update of the KetoDiet and KetoDiet Basic Apps that will soon be released. As usual, I'd like to give you some details about what's new. If you like KetoDiet and want to help us do even more, please, don't forget to leave a review on the AppStore (or Google Play if you have an Android device), it really makes a difference! Do you want to get all my recipes as I post them on my blog? Remember to opt for notifications and never miss a post! You have the option to get notified when I post a new recipe, article or diet plan. For a start, this feature is only be available for KetoDiet Basic on both iOS and Android. As you may know, we've been working on the KetoDiet universal app that will also introduce a brand new UI. Once the fully-featured universal app is released, you will be able to opt-in for notifications on our latest posts. The next step is to support Android devices and enable syncing between all devices (KetoDiet Basic on Android has been done and now we are working on what I described in the paragraph above). Lastly, those who use the KetoDiet Basic app will be able to upgrade to the fully featured app by giving our users an upgrade option. We cannot “merge” the KetoDiet and KetoDiet Basic apps - that is technically not possible. However, adding an upgrade path will essentially make them work in the same way. I'm just starting to use this so I can take healthy foods to foods and still follow my IF & Keto lifestyle, however I'm not sure if I'm being silly but I'm assuming per serving is for 1 person? Unless otherwise stated? Thank you very much Clare! Yes, per serving is per 1 person in most cases but sometimes you may end up eating just half and sometimes 2 servings (e.g. small treats like fat bombs). Hello! Thank you so much for the update! I am very excited  I am not sure how we opt for notifications? Hello Maggie, you can do it in the Settings of your device. Please, keep in mind that you can only enable notifications for the KetoDiet Basic App. The KetoDiet App (with the planner feature) will have this feature enabled once the universal app with the new UI is out. That's great, I'll let you know when the testing is available. Thank you! So the fully functional Android version will be available in 10 days? Will we have to buy the Basic version first and then grade to the Full version? I'd love that but that will take a while - it's a major change and it's very involved. The universal app and fully-featured android app will be out in a few months. I don't want to give any exact estimates because it always changes and software development is unpredictable. The next update only includes new recipes and some minor additions. I also talked about it in this podcast: https://www.ketovangelist.com/episode-46-martina-slajerova-created-the-ketodietapp-to-help-her-get-healthy/ Once the universal app is out, you can buy the full version directly. Or you can get the basic version and upgrade once we have this option available. Thank you Sylvia! Yes, there will be universal iOS and Android app. 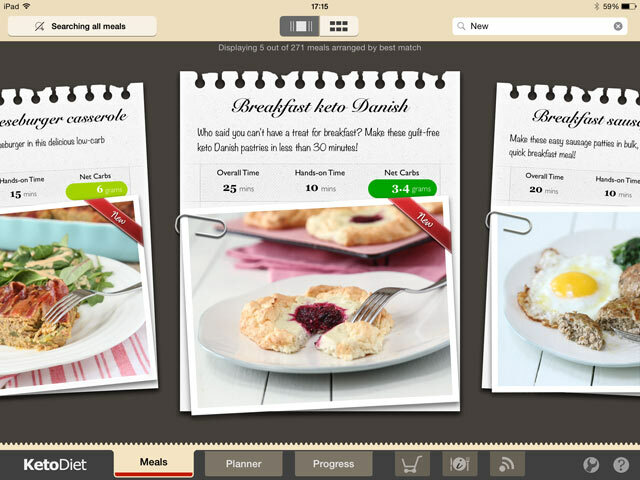 What this means is that KetoDiet (fully-featured app with the planning & tracking features that is currently iPad only) will be running on all devices - the iPhone, iPad and Android devices. This will also include syncing between devices.